It's a good one Boshko. Hard Drives 250 GB SATA Hard Disk Drive 7200 rpm 2TB Seagate GoFlex USB 2 Drive 1TB Iomega Prestige USB 2 Drive 1.5TB Iomega Prestige USB 2 Drive (Samsung) 2TB WD MyBook Live NAS. Everything I want is on the start menu or in the 'A' block shortcut, with shortcut key to bring it up whenever. my favorite pic of our basset hounds. Other Info Powered USB Hub, External Drives 3 x 1TB, Phone Dock. Time for a new animated DreamScene. This time my journey brought me to Southsun Cove (Guild Wars 2). 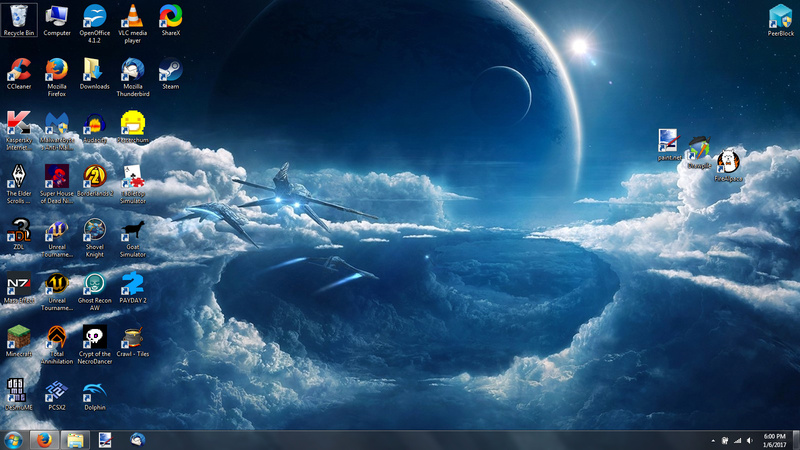 Lol I already found another wallpaper and configured my icons. 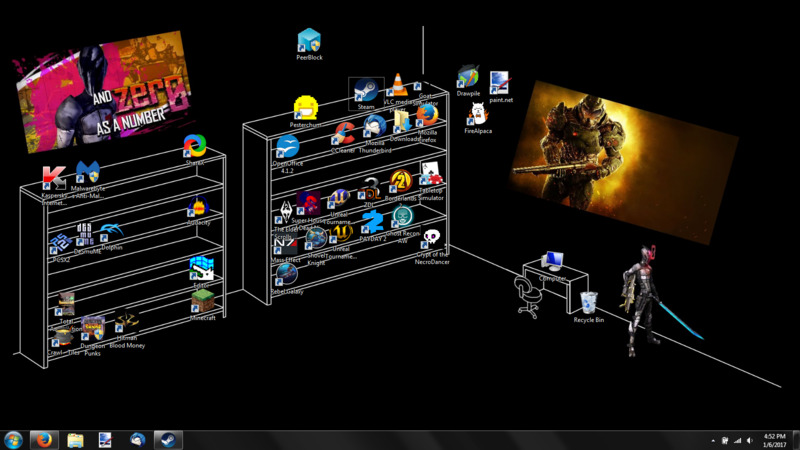 All of my taskbar icons are on my desktop. Not artistic, but very practical. I made it look like Win XP, but years ago, I made XP look like Win 98. So my 7 looks a lot like 98. I always keep my icons on the borders so as not to overwhelm the picture. I rotate about 50 wallpapers as the mood hits me. I love the bookshelves full of icons! How did you do that? What makes dim desktop.ini icons show up on my desktop? All times are GMT -5. The time now is 21:39.